Amazing work Ryan. Thanks for sharing the build and giving the world such an impressive display of what a Miata can do. Sounds like you'll need 500HP+ to meet the challenge set by the new rules. Do you plan to push the current car that far? If not, is it time to put all your build skills towards an NC with a 2.5 short stroke and FAB9 big turbo kit? That combo has potential for 550HP+ from a readily available kit that maintains the awesome Miata balance and light weight. 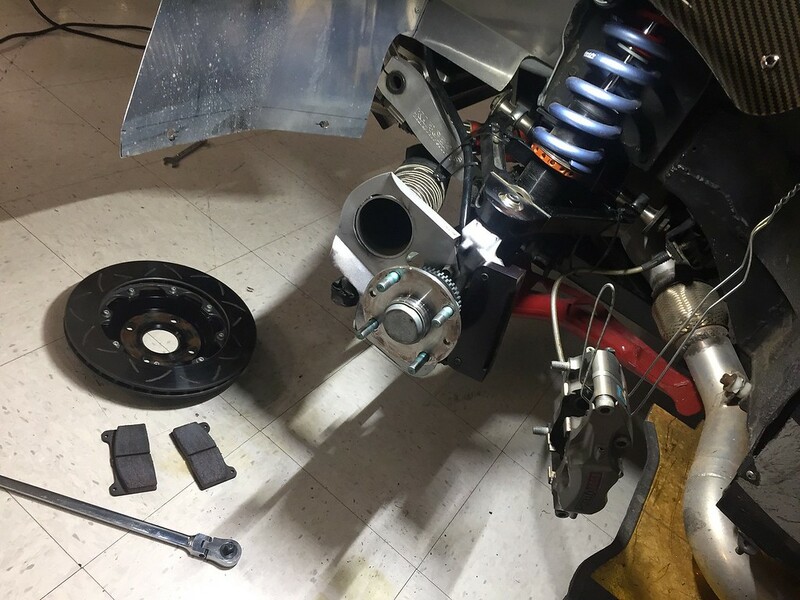 Miata.net shows the FAB9 shop is doing a very serious NC 2.3 build currently. There would probably be significant overlap between a new build by you and that build that could benefit both, as well as advance NC state of the art. 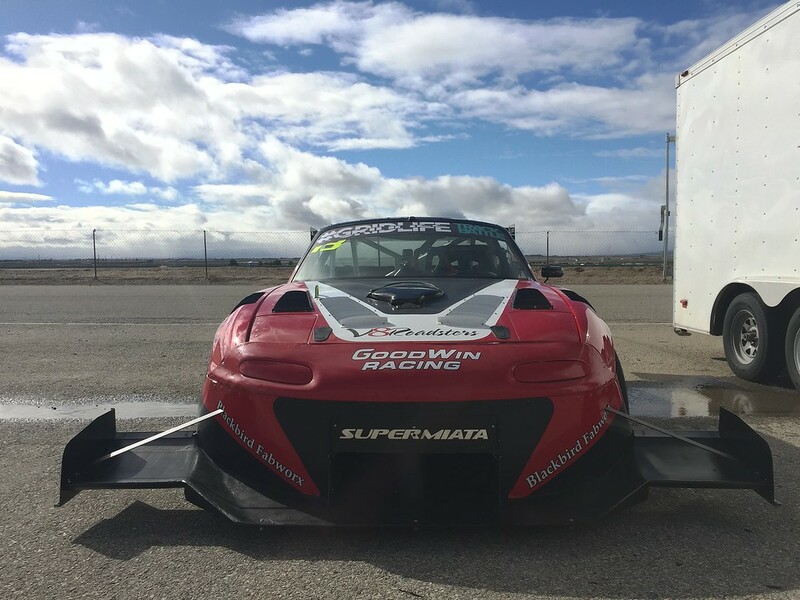 Would probably be heresy to suggest such a thing in other racing communities, but Miata racers appear to have amazing capacity to work together on such things. Looking forward to watching whatever you decide to build next. The horsepower gap can't be ignored, but I think we still have more speed to find in this car. I have some ideas brewing for the horsepower, but don't want to say too much until we get further down that road. Ideas on a chalk board change often. We're registered for Superlap Battle USA at Circuit of the Americas! I'm working on the car every night, but mostly addressing things that need to be reinforced, repaired, adjusted, etc. 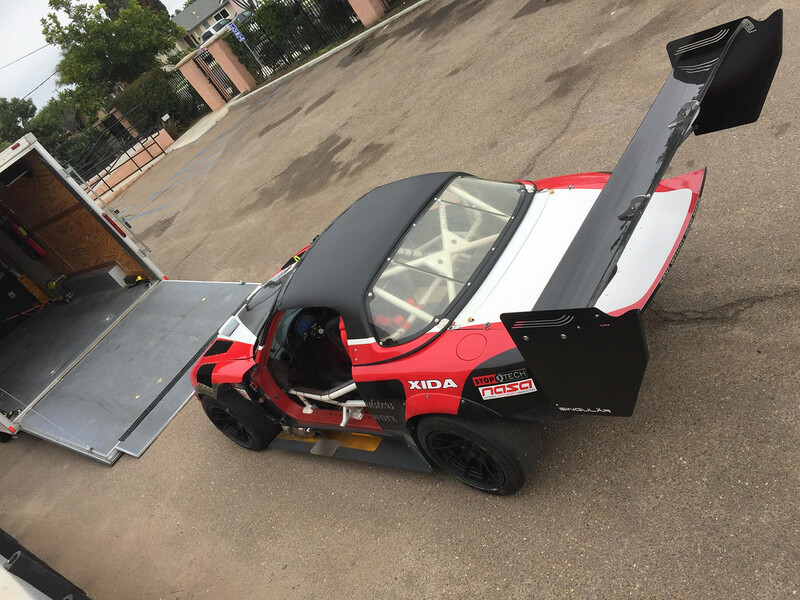 So the car will be largely as it was at Buttonwillow in November. I'm extremely excited, also nervous. I expect that we won't be taking the win at COTA this year, but I'm really looking forward to the challenge that will be taking everything to the next level and building towards being competitive at this track in the future. Loaded up. 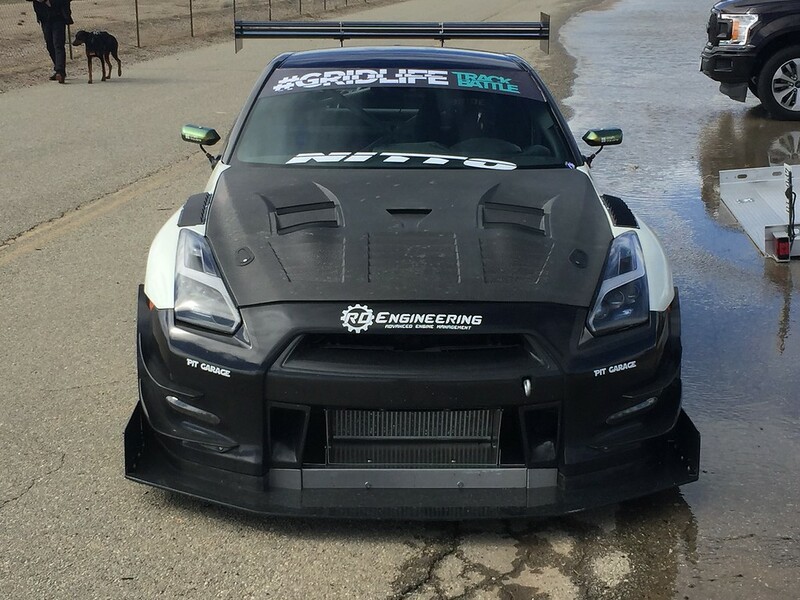 Gridlife is doing their first ever West Coast track battle event at Streets of Willow tomorrow. We need to test before COTA, so timing is perfect. What's not perfect is the weather right now.. but the forecast claims it should be mostly clear tomorrow. Fingers crossed that we get some dry testing in. GRIDLIFE came to the West coast for an exhibition of their Track Battle format. We had Hoosiers left over from UTCC last year just begging to get used so we entered in the unlimited class and got ready for the party. It was a cold day out, low surface temp with little sunlight to bring the surface temp up and very little rubber on the ground after the storm the day before. Hard to get enough heat in the tires, they were about 40 degrees below optimal. Thankfully the weather held and it did stay dray through the day, and I was able to push to find as much speed as was available. Lots of cool cars out at the event but at the top of the time sheets it turned into a battle for top honors between us and a fellow GTA competitor, Steven Chan in his 780 whp GTR on Hankook slicks. The track got slower through the day with temperatures dropping and rising winds. With each session I cleaned up my lines a bit more and found areas to pick up time, but with every few degrees of temperature drop we saw the times inevitably rise several tenths. If the weather had gone the other way and warmed up we'd have been in the 1:16's and contending for the overall production car record. Still, 1:17.0 landed 1st place in Unlimited, Top Time of Day, and a new Miata lap record by a big margin. The car felt solid, coming home with several little notes for tweaks and things to check before COTA but overall we're ready to rock and roll. I know the outlook for COTA seems bleek from a HP stand but here's some food for thought. When we ran the NC's in IMSA we were shocked to take pole. Turns out it's less of a power track than it seems. Every stright has a tight corner on and off of it so brakes and grip are king. Be sure to bring all the brake cooling you have! Anyway i'll have to swing by and say hello in the pits. Thanks again for helping with the clutch. eflove wrote: I know the outlook for COTA seems bleek from a HP stand but here's some food for thought. When we ran the NC's in IMSA we were shocked to take pole. Turns out it's less of a power track than it seems. 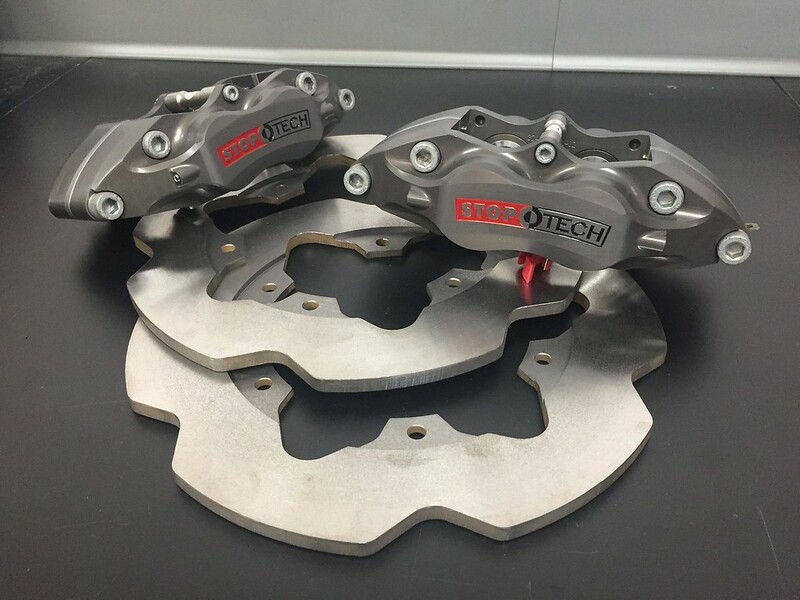 Every stright has a tight corner on and off of it so brakes and grip are king. Be sure to bring all the brake cooling you have! Anyway i'll have to swing by and say hello in the pits. Thanks again for helping with the clutch. That's promising to hear. Watching lots of on-boards right now to learn the track and going to get some sim time in tonight. I've been noticing that while power plays a key part to fast times there, it isn't everything. Our strengths will help in several sections. Definitely come by! I'd like to check out your NC in person. Will be rooting for you in Unlimited. Full inspection after SOW is done. Several small items to address (which is usual) but nothing major. We have a couple new sponsors coming on board for 2019 which I'm really excited about. More on that soon but I need to get them integrated before COTA, and wouldn't you know it the vinyl plotter just took a dive! Outsourcing decal production to a local shop this morning and getting the embroidery shop going on suit patches, etc. Also going over lots of spreadsheets and on the phone with a few of our partners to fill out the spares list. I want to be sure that if we have anything go sideways that we have everything we need to fix it and get back out on track fast. I don't have space to bring a spare motor or trans but we should be able to handle anything other than a major driveline failure. More and more spares going in the box. Got some valuable sim time in yesterday. 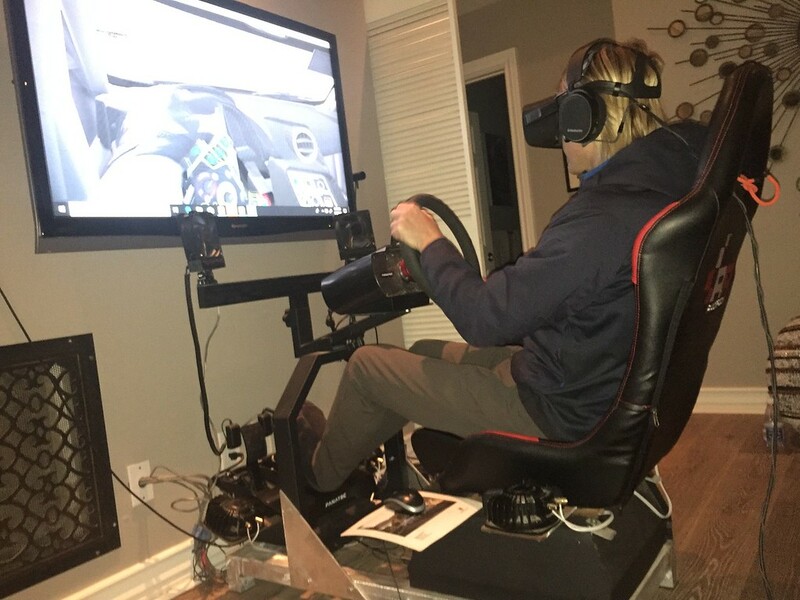 A buddy of mine, Connor, is a pro driver in Pirelli GT4 and he has a killer rig setup that he practices on daily. Occulus VR, four corner shakers, speed-based fans, etc. He very generously let me get a bunch of time in on COTA and even gave pointers on fastest line and where I should make adjustments. I got about 90 laps in, feeling much more confident about the track than I was before. It's inspiring watching him drive, he just hops in and is on pace and hitting every mark by the third corner on the out-lap and his mid-corner corrections are super precise. I guess that's why he does this for a living For me, it was a day away from the car but one of the most valuable for getting ready for COTA. 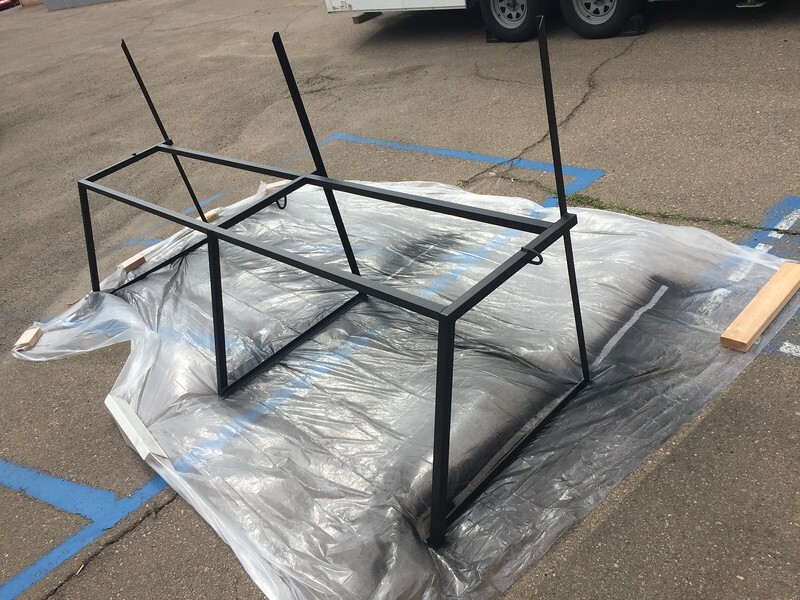 Need to bring spare wheels/tires 1500 miles and don't want them sitting in the truck bed overnight at hotels so it's time to build the wheel rack for the trailer that I've been planning for at least a year. Nothing overly fancy, quick one-day build. Need to get on to the next thing on the list! 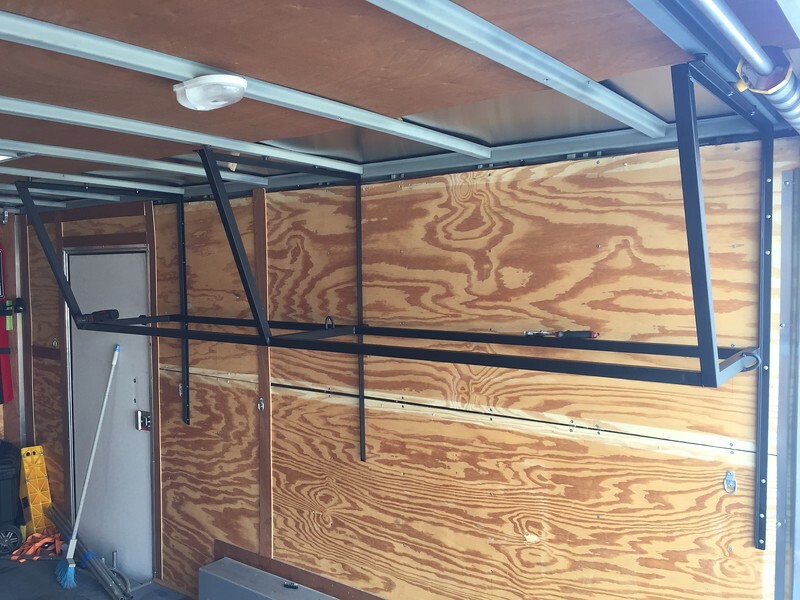 Room for two sets of wheels/tires plus space for the trailer spare.